I’ve found myself on more than one occasion lately surprised, simply surprised, at the degree to which the sight or smell of something can be so incredibly evocative of times past. 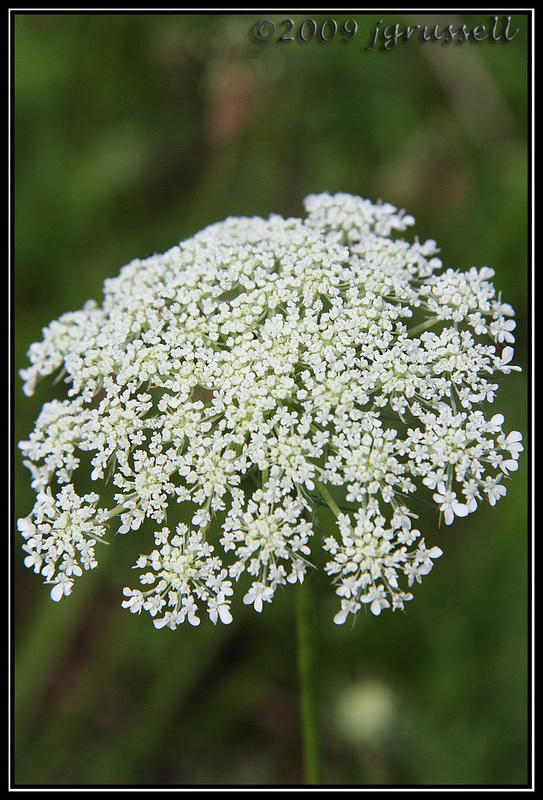 This morning I was at the Cook Student Organic Farm where I am one of those who get a share of the produce, and right outside my car door as I got out was a whole bunch of wildflowers… simple Queen Anne’s Lace. And I was instantly transported to Central Virginia, to the farm where my grandparents lived and where I spent every summer from age 4 to 14 or 15. There are prettier wildflowers, for sure, and many many that are more colorful. But this one was (and is) everywhere along the country roads of my childhood, and was one of the few flowers it was perfectly okay to pick any time anywhere without getting scolded. I didn’t particularly like those summers at the farm when I was a kid. I was the odd man out — declared to be too young to tag along after the older cousins and yet too much older than the next bunch to fit in there. (A 10-year-old doesn’t want to be limited to what the 6- or 7-year-olds are allowed to do, but if they did what I was allowed to do, I was in trouble for leading them into mischief.) But I sure find myself missing those days now. My grandparents are gone now. My Uncle Billy, who owned the farm, gone. My parents, gone. My Aunt Marianne, my Uncle Monte, my Uncle Barrett, my Uncle Ray… gone, gone, gone, gone. The farm itself is as good as gone… it is to be sold as part of Uncle Bill’s estate. I miss them all, and I miss what we had back in those days. I miss sitting out under the trees at night, with a campfire, and my aunts and uncles and cousins singing multi-part harmony to old songs and hymns. “In the Garden.” “Little Brown Church in the Vale.” “Goodnight, Irene.” I miss gathering up soda bottles — we’d take them to the general store, cash them in for the deposit and buy penny candy that really cost a penny. If the haul was really good, we’d get ice cream. I miss the long days at the Louisa County pool, where we knew the grownups would tell us it was time to go when my brother’s lips turned blue with cold and the loudspeaker blared out “Walk, Don’t Run,” and “Flying Purple People Eater.” I miss being sent to the drive-in to “chaperone” much older cousins on their dates, and being dumped out on a blanket with the speaker and strict instructions to ignore ANYTHING that happened inside the car (and watching the windows steam up…). Above all else, I miss the humor and the laughter and the unconditional love with which we were all surrounded. They were younger, simpler, sweeter days. Days when all seemed as good as a bouquet of Queen Anne’s Lace. This entry was posted on Saturday, July 25th, 2009 at 1:12 am and is filed under General musings. You can follow any responses to this entry through the RSS 2.0 feed. Both comments and pings are currently closed. awwwwwwwwww! you are so eloquent, and so perceptive of all that really made those days wonderful. They were simple, they were sweet, and they were soooo slow. How did time speed up so much?